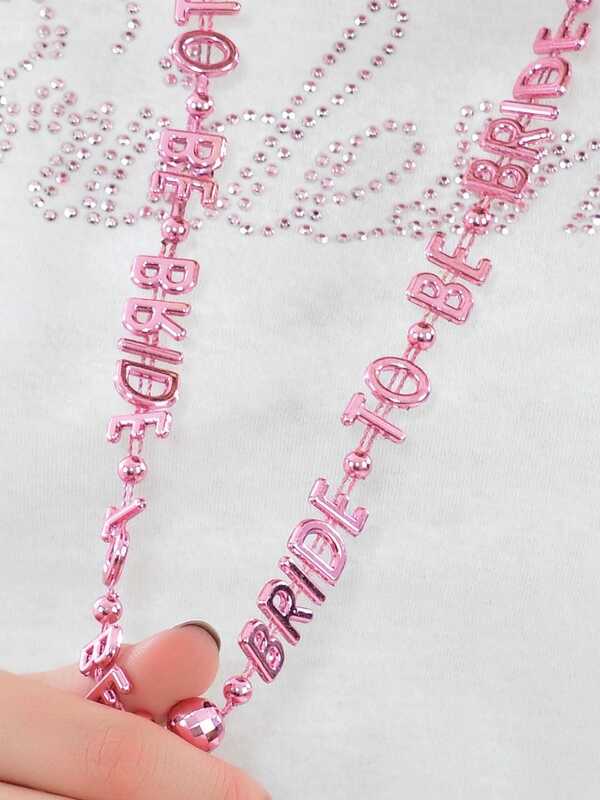 A funky pink metallic necklace with a bride to be message. This striking necklace makes a great little gift for any bride to be to wear on her hen night. You can even pop it in her gift bag. The bride loved these and such a great price!